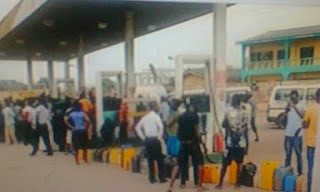 Home / Fuel Scarcity / News / Nigeria / Petrol Scarcity / Nigeria Petrol Scarcity: Major Oil Marketers Meet Today to Discuss Lingering Scarcity. Nigeria Petrol Scarcity: Major Oil Marketers Meet Today to Discuss Lingering Scarcity. Major Oil Marketers Meet Today to Discuss Lingering Scarcity. Total Output of all four Refineries may Breach 9MLPD but Nigeria's total petrol Consumption Estimated at 24MLPD as Kaduna Refinery says facility Resumes production April 27.